I received a proof of this book in exchange for an honest review. 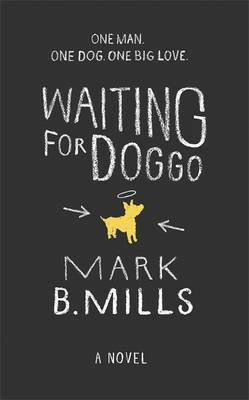 Waiting for Doggo was a quick easy read that I generally enjoyed. I loved reading about the work environment of the designers office where Dan works and the office politics, it was really funny. Doggo was obviously the star of the show. I loved how his background sort of tied into the plot and how he developed within the story. I always enjoy books focusing on animals and Doggo’s character was my favourite though I did think he could have been involved more. The biggest problem I had with this book was that I absolutely hated the main character, Dan. Maybe hate’s too strong a word? At the very least I really disliked him. I just didn’t enjoy his attitude or the way he handled things, especially concerning the way he acted when his girlfriend left. I just wasn’t a fan and couldn’t relate to him at all, and though it’s a bit mean I completely understand why his girlfriend left.